As the country’s number one commercial vehicle brand based TMA-CAMPI reports, Isuzu Philippines Corporation (IPC) has played a significant role in the Philippines. They developed and supported various industries by providing trusted vehicles and world-class diesel engines. Embodying their corporate slogan, “Your Responsible Partner”, they continue to provide a proud legacy of customer service, employee satisfaction, and social responsibility while also contributing to nation building. More than just “The Nation’s Workhorse”, a term coined because of Isuzu’s immense contribution to the country’s strong and vibrant logistics network, Isuzu’s reputation as the “King of Diesel” extends even to their family-oriented offerings. Already a best-seller, accounting for more than 30 percent of their sales, the mu-X is a comfortable, capable, and practical 7-seater family SUV. However, Isuzu has brought in more improvements in 2018 to make the mu-X the best choice in this segment. The most significant of which is the new 3.0-liter Blue Power engine. 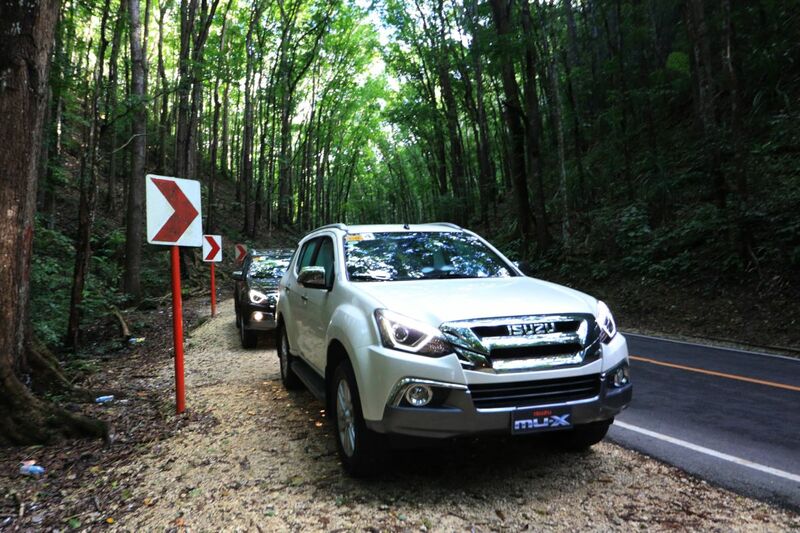 Marking Isuzu Philippines’s shift to clean diesel technology, this new engine is now Euro 4 compliant while also boasting an increased power (177 horsepower) and torque (380 Nm) output. The 4JJ1-TCX engine in the mu-X delivers four key traits: maximum engine output, low emissions, best fuel economy, and excellent durability. Joined to the engine is a brand-new 6-speed automatic, which offer significant improvement in fuel economy compared to before. Definitely, this combination makes the mu-X smoother and quieter, offering a more efficient drive. Aside from a new powertrain, Isuzu upgraded the user-friendly interior of the mu-X with soft-touch contact points, a high-resolution touchscreen infotainment screen, and blue ambient lighting on the door panels. And given all the handheld devices people carry nowadays, the mu-X provides three USB ports and three 12-volt power outlets. It’s a genuine 7-seater with best-in-class headroom and ample legroom across three rows. On the exterior, the mu-X receives a plethora of changes including a revised front fascia with new headlights, bumpers, and grille. As Isuzu takes inspiration from nature, specifically the eagle, the Bi-LED Projector Headlamp and integrated LED daytime running lamp are reminiscent of a bald eagle. The rear bumper along with a LED Positioning lamp signature are made to resemble an eagle’s wings. With the 18-inch alloy wheels, the overall look is a stronger, sportier mu-X. Designed for Filipino families, the Isuzu mu-X offers the most complete package in its class. Whether it’s usable power, comfort, or efficiency, it has you covered for the long haul. The 2018 Isuzu mu-X is definitely proof of Isuzu’s commitment to being “Your Responsible Partner” for life.